Photo: Kids can explore the natural setting of Winchester Thurston School’s North Campus during A Walk in the Woods. Schools, museums, parks and organizations in Pittsburgh are getting ready to celebrate Earth Day in a big way. One day is simply not enough to contain all the activities. As a global initiative, Earth Day started on April 22, 1970. Since then, the enterprise grew from a single day to weeks of special projects dedicated to cleaning up the environment. Just one year away from the 50th anniversary of Earth Day, Pittsburgh families will be pitching in during April to make a difference. Here are 11 ways kids can get involved and have fun, too! 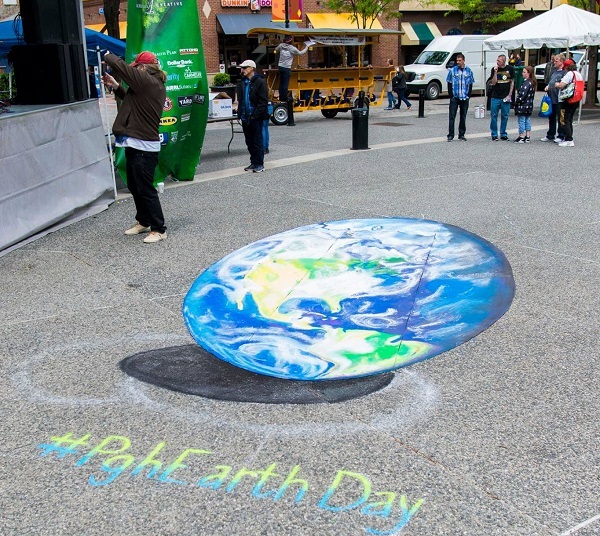 Market Square will host three days of Earth Day activities April 19-21. Kids can explore nature indoors and outdoors at Phipps Conservatory. Photo by Brian Cohen. Phipps Conservatory & Botanical Gardens celebrates Earth Day with seven days of special events and interactive presentations April 22-28. Discovery Stations will offer kids opportunities to have fun potting their own pollinator-friendly plants to care for at home or engage in a nature-inspired activity created by artist and illustrator Ashley Cecil. Curious kids can check out the butterflies and learn more about these fluttering pollinator friends and their favorite flowers as Phipps’ seasonal butterfly exhibit reopens. Listen to storytellers read tales about nature, plants and animals. Wild Earth Day gives kids the chance to learn more baout their favorite animals at Pittsburgh Zoo. Photo by Paul A. Selvaggio. 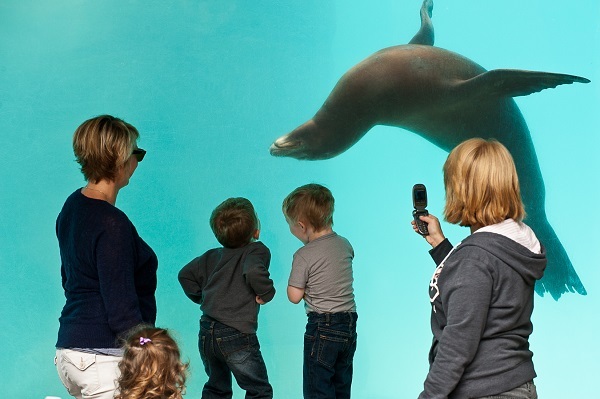 It’s not just Earth Day, it’s Wild Earth Day on April 26 at Pittsburgh Zoo and PPG Aquarium, where a variety of activities will celebrate wildlife and conservation. Discovery stations will focus on animal feedings and demonstrations, ocean conservation projects, plus saving sea turtles and endangered species. A scavenger hunt with clues scattered throughout the Zoo will help participants find out how much they know about the animals that live there. Dirty hands and Earth Day go together naturally at the Children’s Museum. Children’s Museum of Pittsburgh will celebrate Earth Week during the week of April 20-26 with its Makeshop programs and a variety of experiments that support the earth and green living. Kids can make seed bombs, explore how solar energy works, and create their own field notes book. Each program during the week will feature something new. Frick Park will be the setting for Pittsburgh Parks Conservancy’s annual free Earth Day celebration April 26-27 held in partnership with the City of Pittsburgh. Activities will feature a community campfire under the stars on April 26 at Falls Ravine Shelter. Take advantage of hikes and other activities led by naturalists, designed for families to learn more about birds, plant identification and nature play throughout the day on April 27 at Frick Environmental Center. Winchester Thurston School, North Campus, will host a free Earth Day celebration with science teacher Brock Perkins and North Campus Director Heather Capezzuti on April 22. Kids are invited to take part in an hour-long walk through the woods on the school’s seven-acre campus in Allison Park, featuring interactive outdoor learning activities along the way. 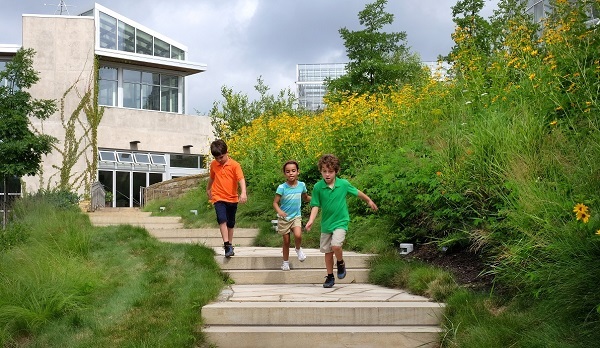 Pittsburgh Botanic Garden invites kids ages 3-6 to take a nature walk to see what’s sprouting in the Garden on April 24. “Seedlings: Tops & Bottoms” will teach kids about the parts of a plant that grow in the soil and above the ground. Free special events with an Earth Day theme will be held at two Allegheny County Parks, including Earth Day Cleanup with the Park Rangers on April 20 at South Park Mercer Shelter, and Earth Day Volunteer Service Day with a Park Naturalist on April 22 at North Park Latodami Nature Center, for ages 6 and up. Register for either event here. A leisurely L.L. Bean Earth Day Hike is planned for April 22 beginning at North Park’s Pie Traynor Field parking lot, for ages 8 and up. 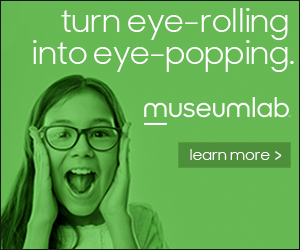 During April, Saturday Science Labs at the Carnegie Museum of Art focus on nature. Saturday Nature Labs during April at Carnegie Museum of Natural History will focus on nature as part of the 2019 City Nature Challenge. Kids will learn how they can participate and improve their observation and nature ID skills. Fighting invasive plant species is a worthwhile way to care for our forests on Earth Day. Kids ages 12 and older are invited to celebrate Earth Day April 20 by helping to weed out invasive plants and “Take Back the Woods” at Jennings Environmental Education Center. A free lunch will be provided at the end of the outdoor work session and volunteers will receive a native plant to take home for their own garden or backyard. Volunteers must register by April 13. Science Tots will host fun and educational hands-on Earth Day activities and a Book Fair at Barnes & Noble, Settlers Ridge, on April 20. 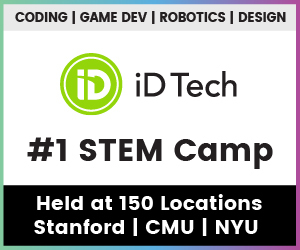 Kids will be introduced to STEAM (science, technology, engineering, art and math) basics to help them make their own exciting discoveries while learning about the environment. Register here for this free event.